Delicious and packed with nutrition?!?! 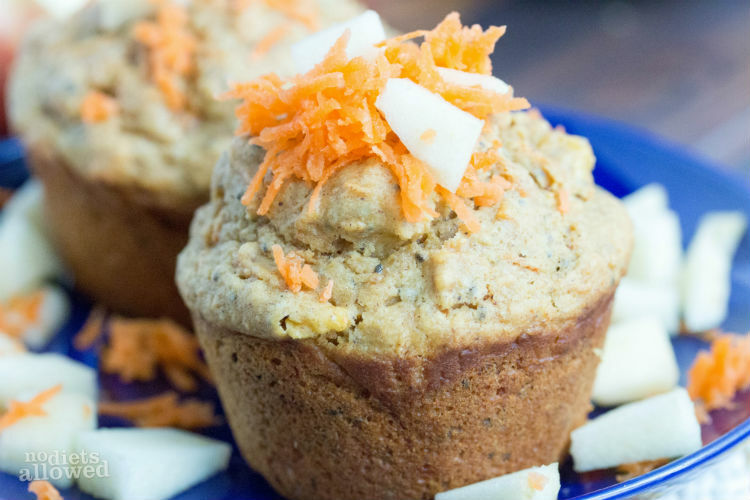 Absolutely possible and just happened with this Morning Glory Muffin recipe. 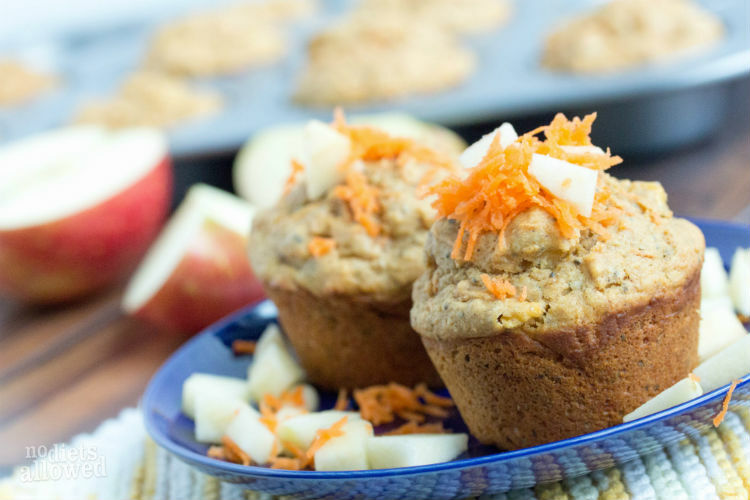 Once you’ve recovered from DYING over these unbelievable Morning Glory Muffins, come try my Banana Muffins (super popular right now) and my Pear Apple Muffins. Warning: I will feel no regret for facilitating your muffin addiction. A friend emailed me recently with a recipe for ‘healthy’ Morning Glory Muffins. She wanted my opinion on whether or not the recipe was actually healthy. Oh. my. They were made with 1 and 1/2 cups sugar, vegetable oil, and white flour. Ugh… definitely not healthy. 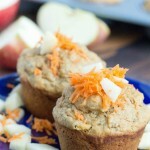 Just because morning glory muffins have carrots and apples thrown in does not automatically make them healthy. When I create healthy recipes, I think about each ingredient added. I play around with naturally sweet foods like apples, bananas, and of course pure honey or maple syrup instead of adding sugar. I choose oils with rockin’ benefits like coconut and olive oil. White flour? Forget about it. Once you try whole wheat pastry flour, you’ll kiss white flour forever goodbye. So… I’m loving the health sneakiness of chia seeds. They. are. awesome. Fiber, protein, omega-3s, calcium, and the list continues of vitamins found in chia seeds. They also soak up excess liquid assisting in creating the absolute needed fluffiness of a muffin. Someone commented that the batter is really moist. No worries. 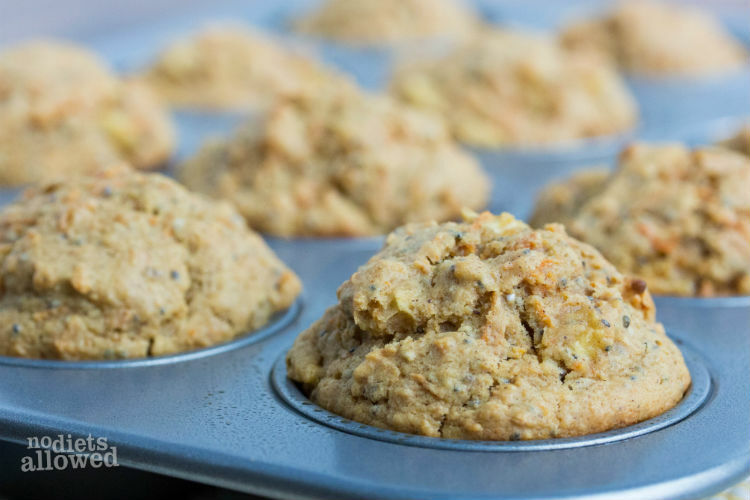 Between the whole wheat pastry flour and chia seeds, the morning glory muffins will turn out fluffy while keeping slightly moist. In a large bowl, combine flour, chia seeds, cinnamon, baking powder, salt, and walnuts. Stir well. In a separate bowl, mix together carrots, apple, raisins, applesauce, olive oil, honey, milk, and vanilla. Pour carrot mixture into dry ingredients and stir just until moistened. 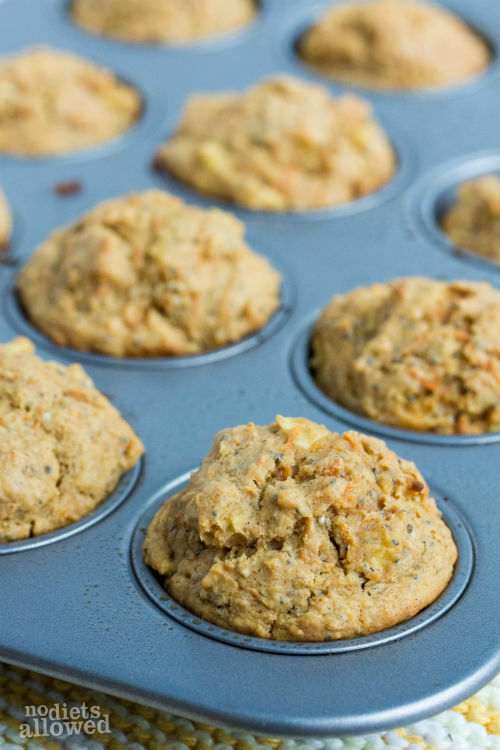 Lightly spray muffin pan with olive oil cooking spray and scoop about 1/4 cup batter in each muffin. Bake for 22 to 25 minutes. Enjoy!